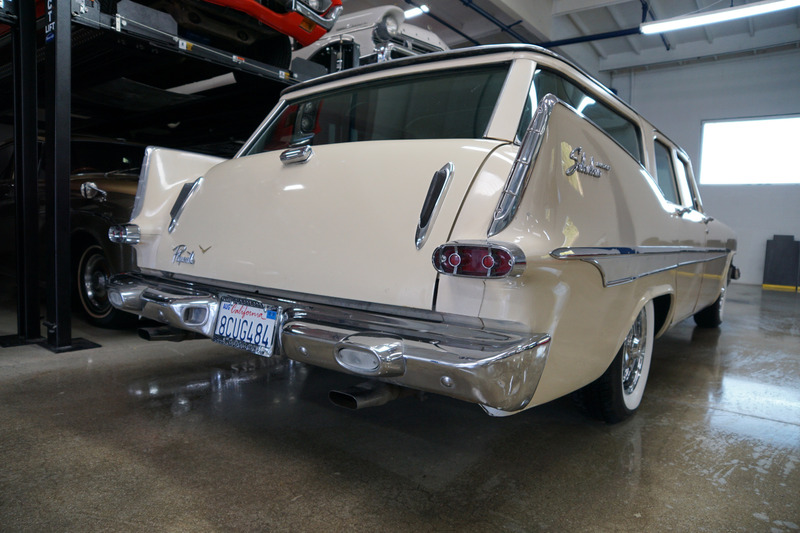 West Coast Classics is proud to present this wonderful surviving example of this virtually all stock and rust and accident free 1959 Plymouth Custom Suburban 4 Door 6 Passenger Station Wagon with it's original 318cid 'Fury' V8 engine matched to it's original push button 'Torqueflite' automatic transmission with reportedly and believed to be 78K original miles! 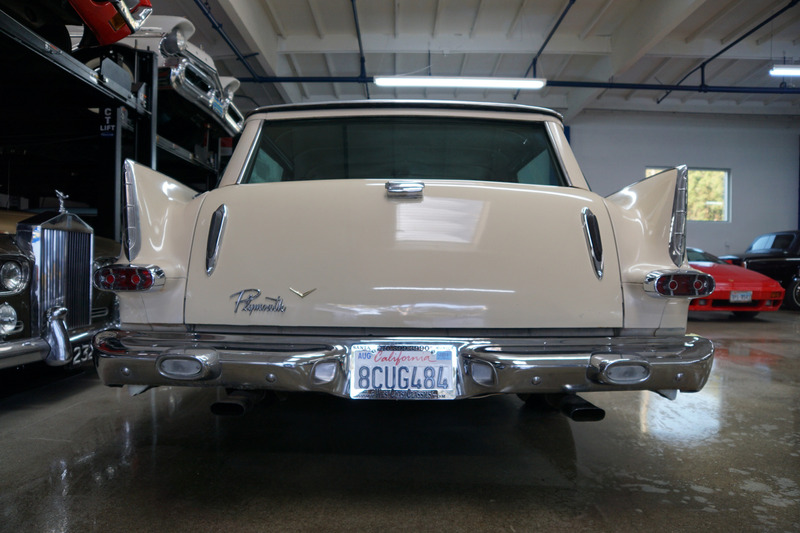 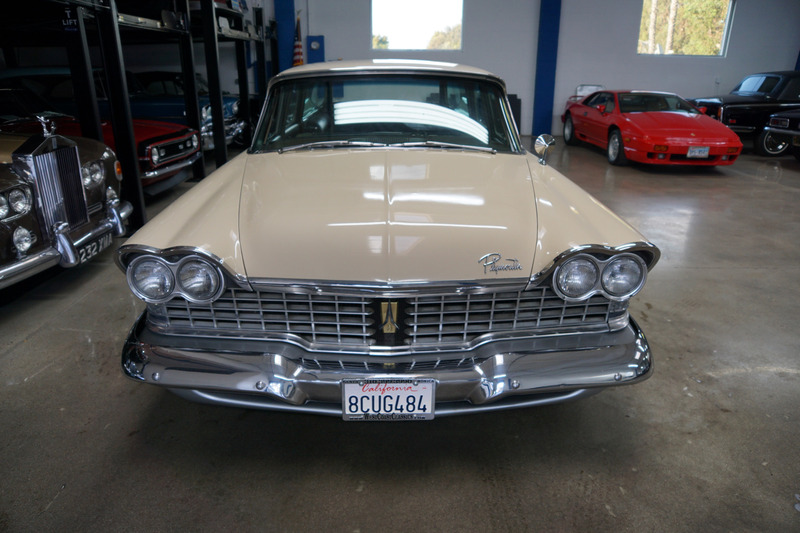 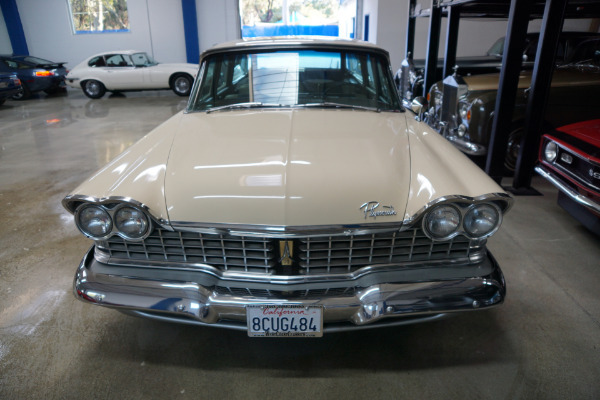 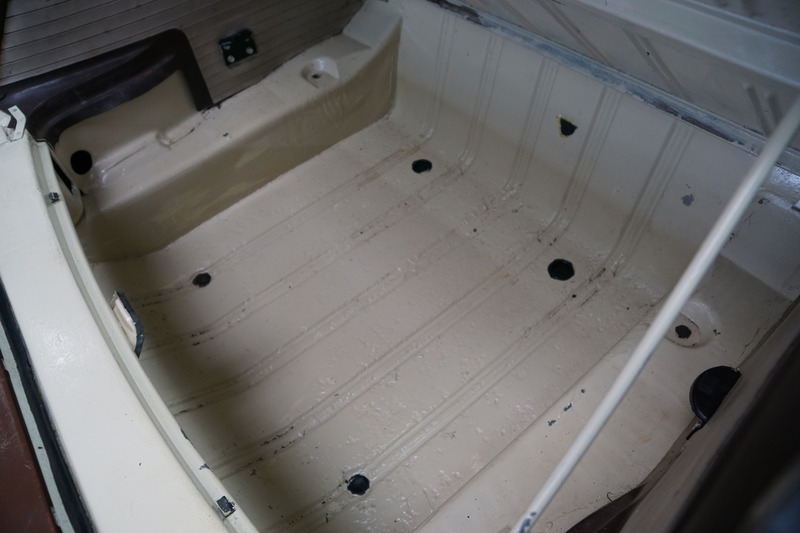 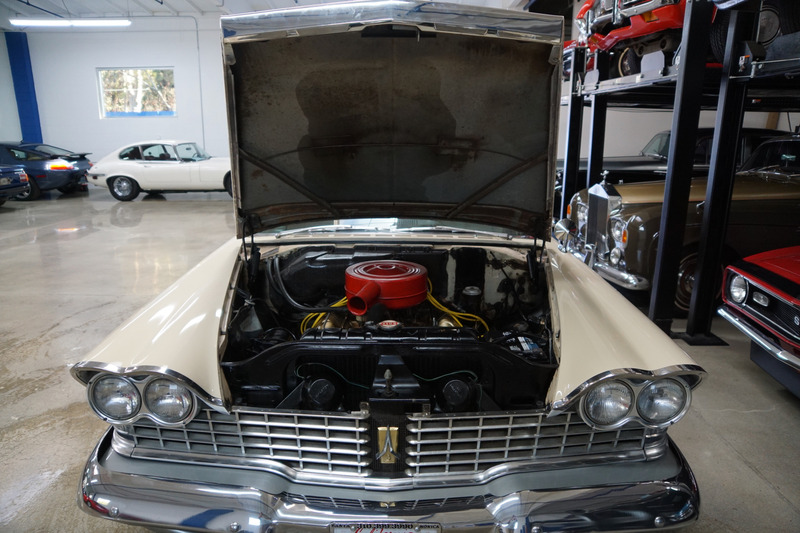 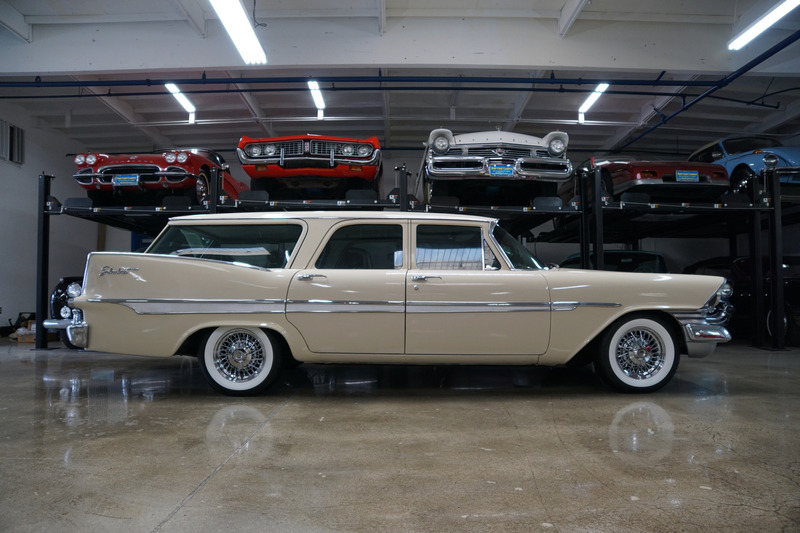 Finished in it's original factory 'Palomino Beige' color (code UU) paint with its original specification factory cloth and vinyl interior and trim with a set of 15" Kelsey Hayes wire wheels with new BF Goodrich whitewall tires and power steering and upgraded brakes and dual exhausts! The car looks extremely striking in it's original factory 'Palomino Beige' color paint and the interior seats have been reupholstered with the correct specification SMS vintage cloth and is both rich and unblemished and the whole interior is also in quite exceptional and mostly completely original condition throughout incuding the headliner! 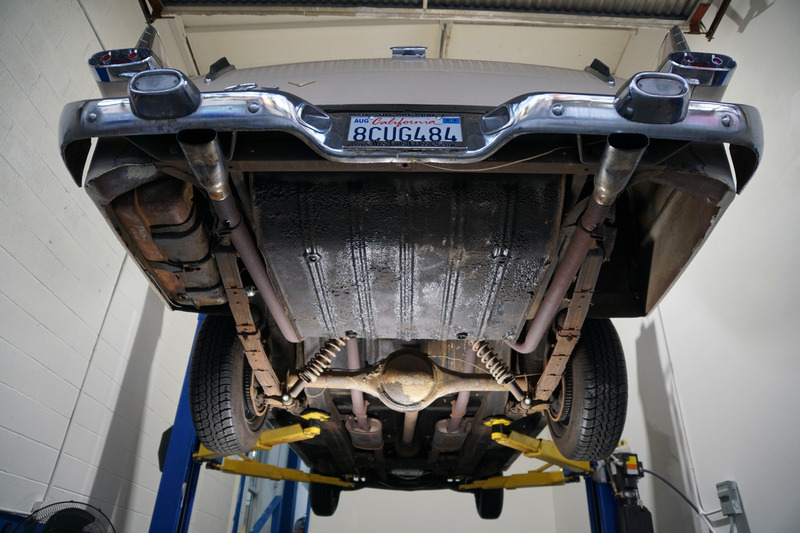 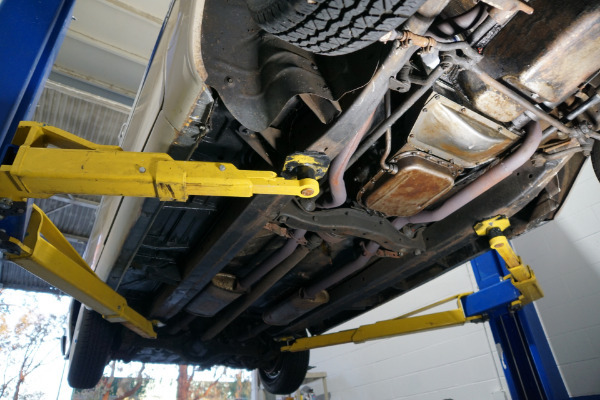 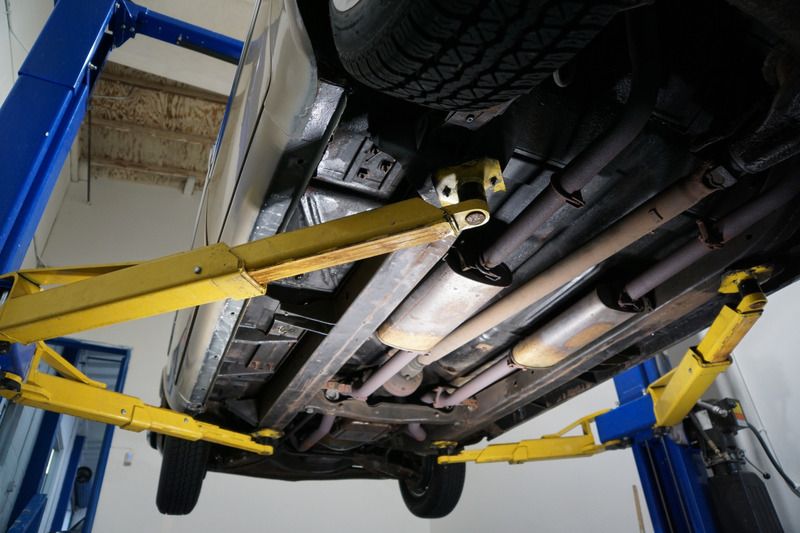 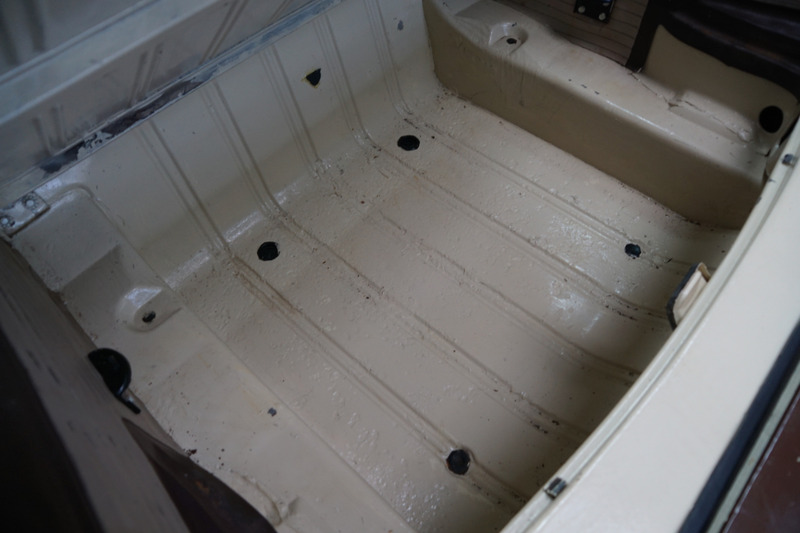 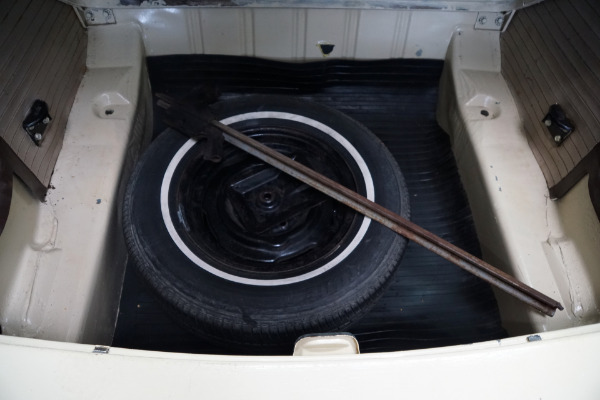 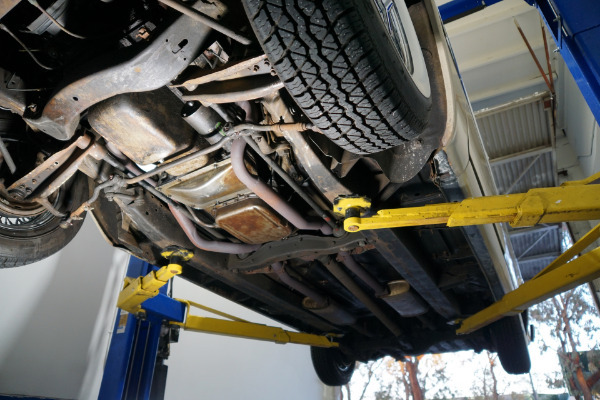 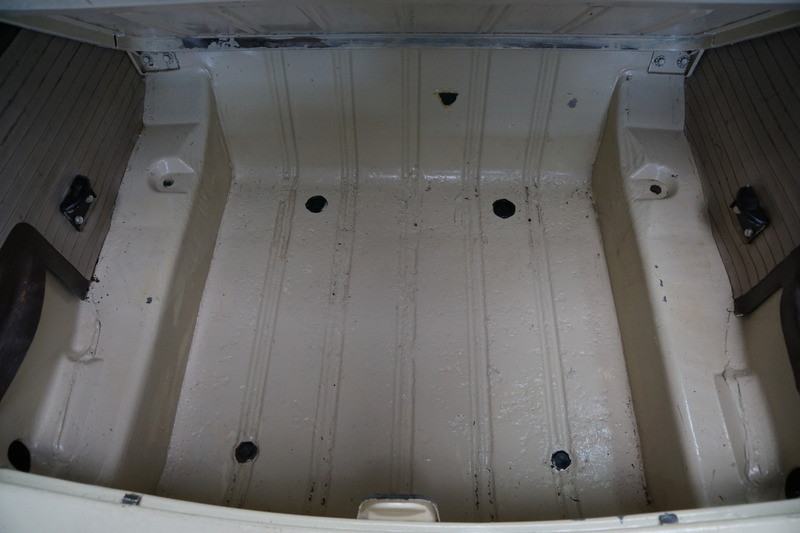 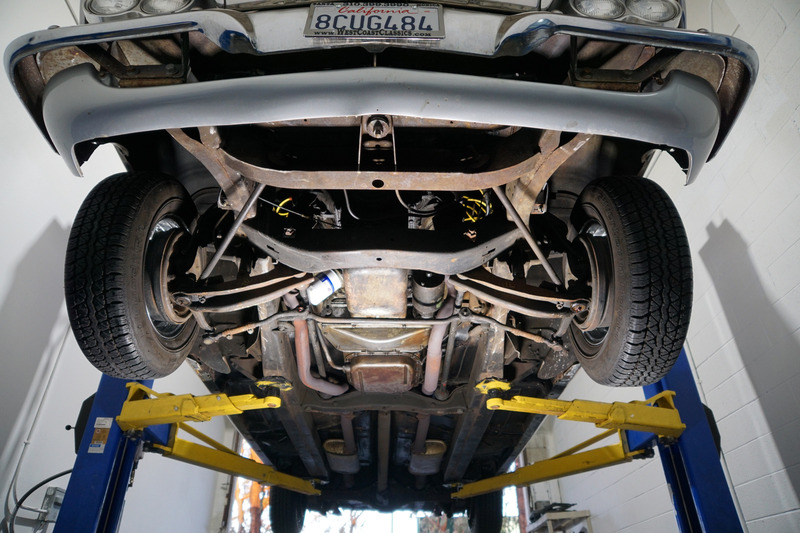 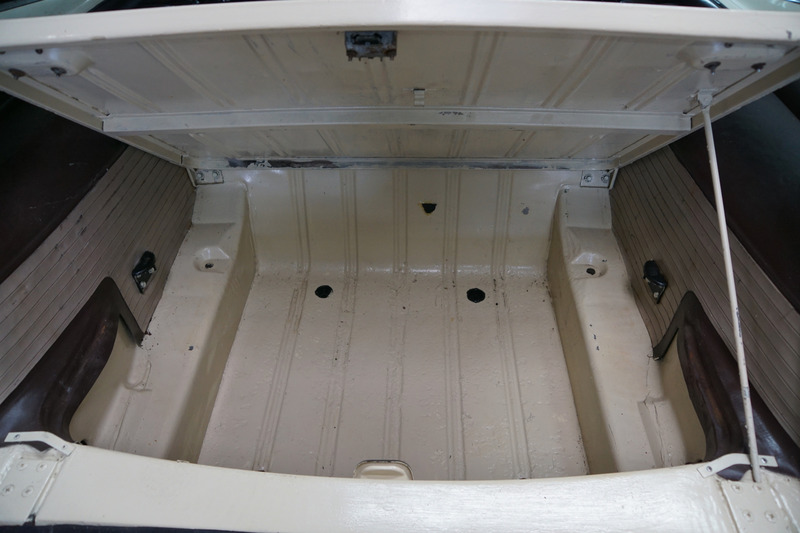 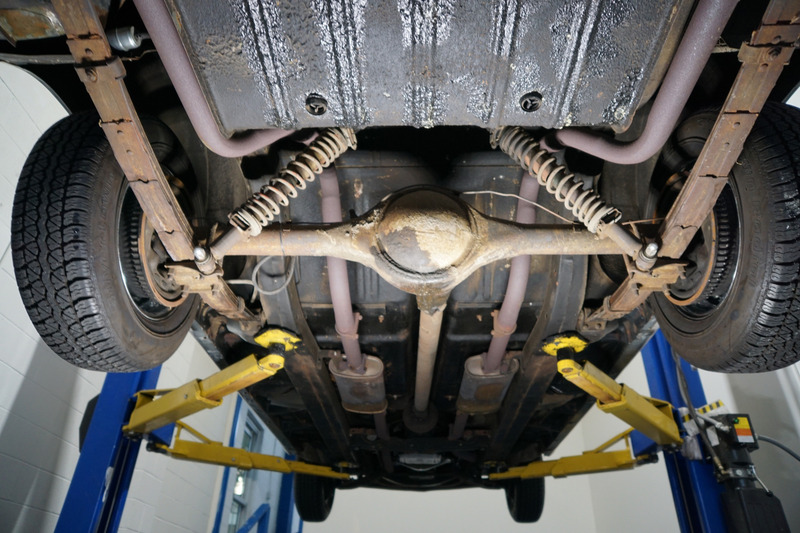 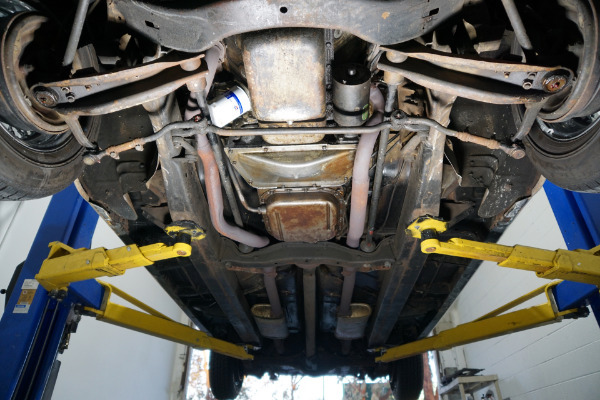 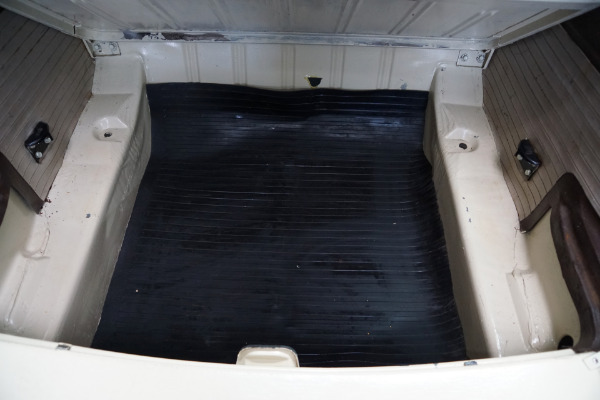 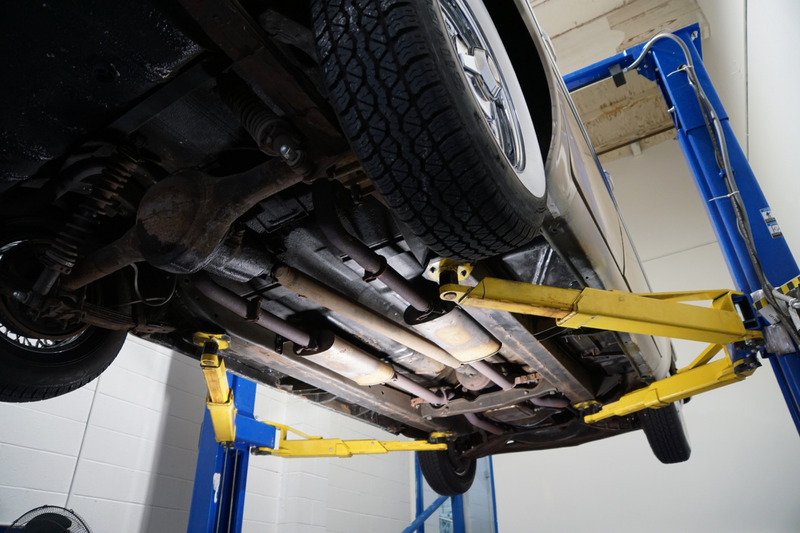 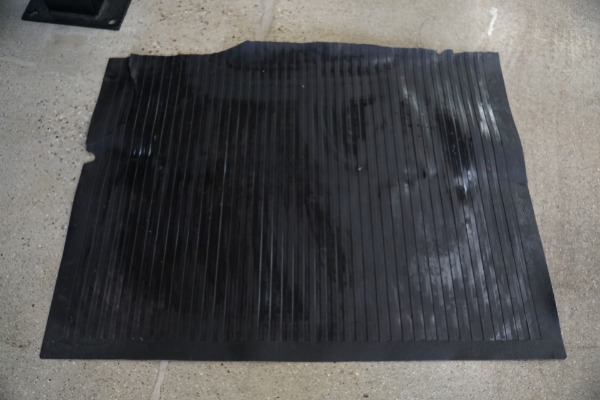 All the original chromework is also in very good condition with no pitting and the original spare wheel and jack is in the trunk. 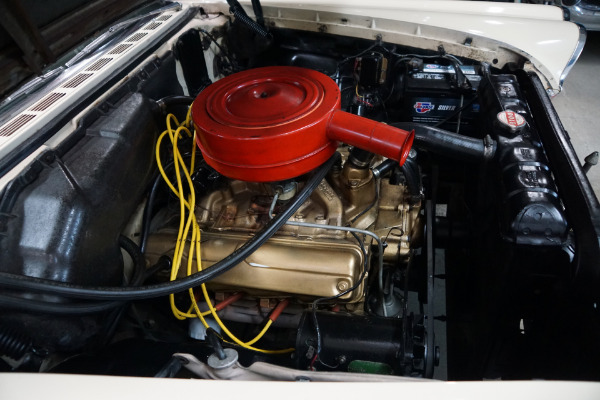 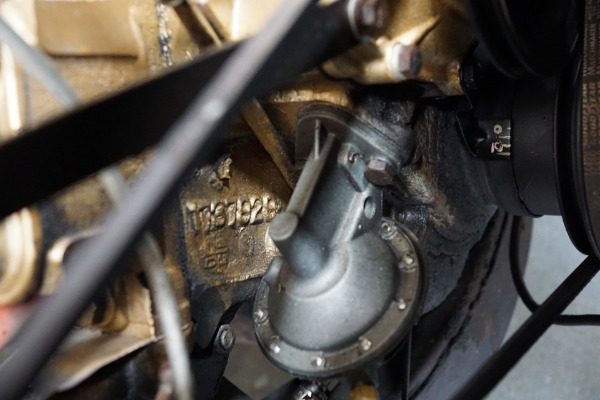 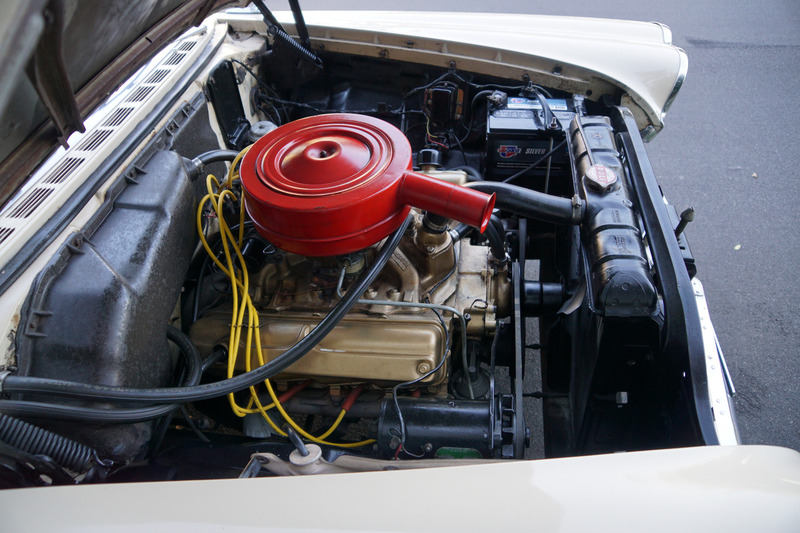 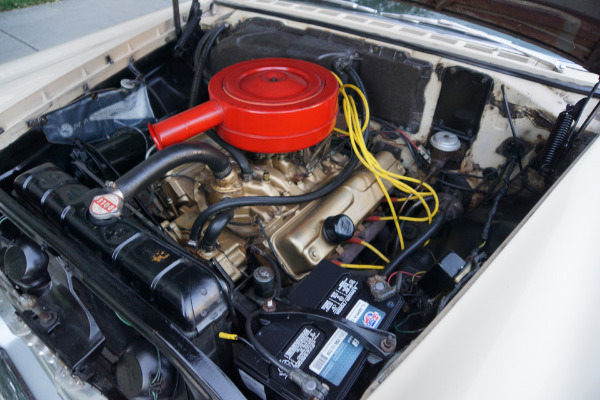 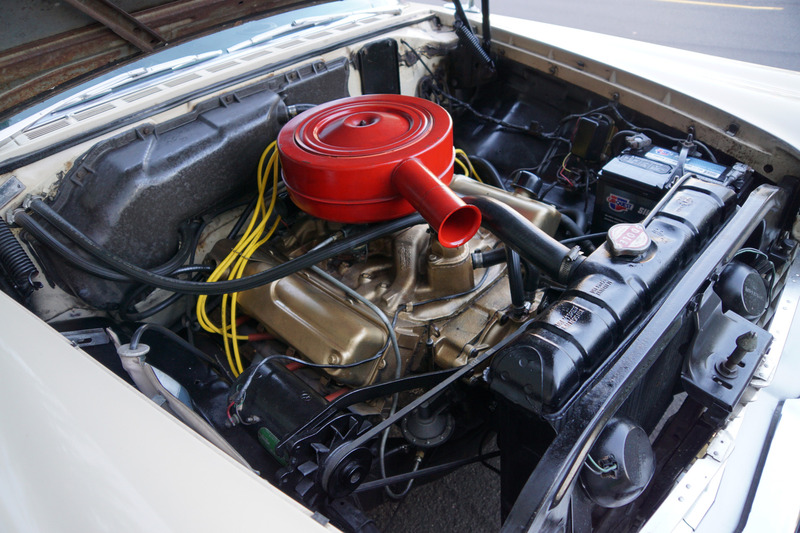 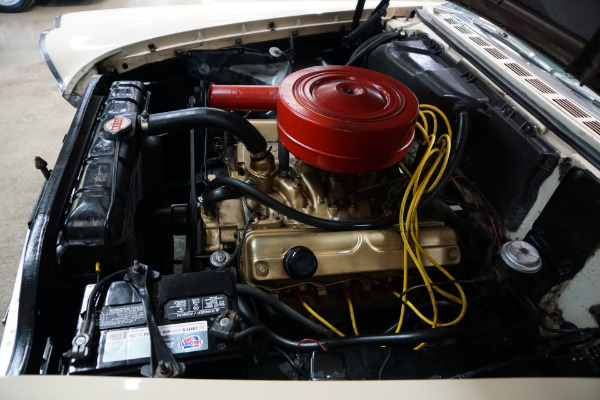 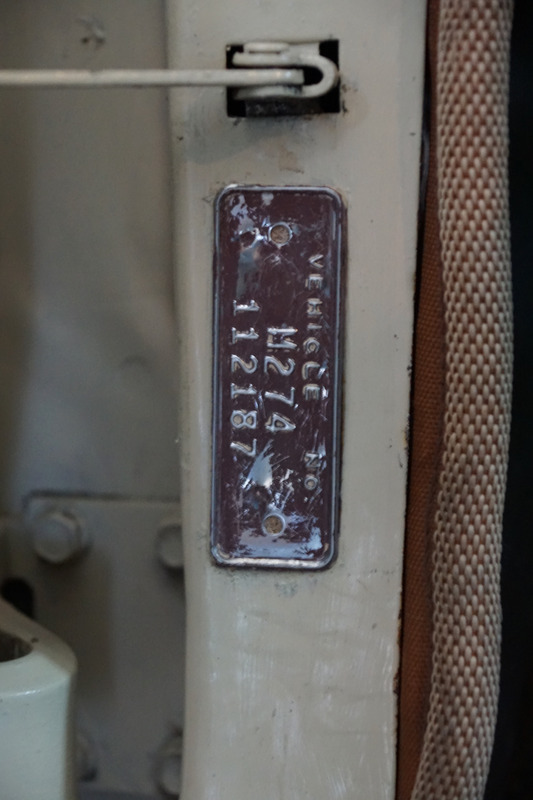 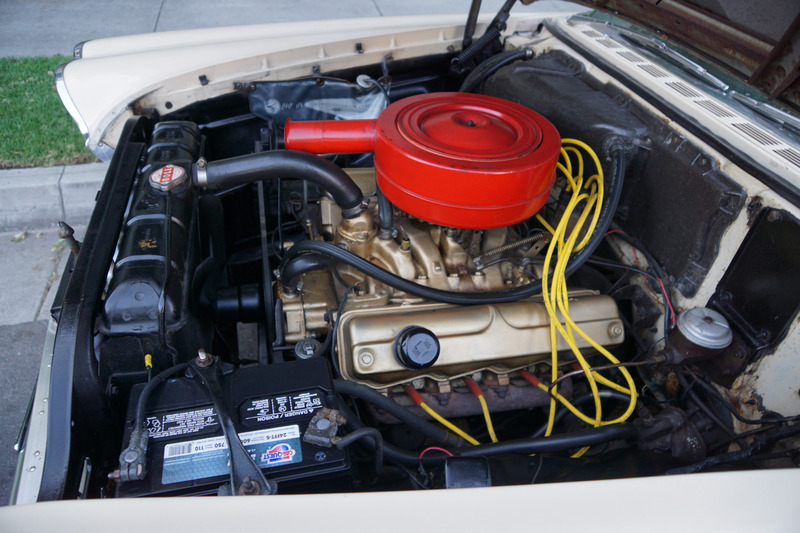 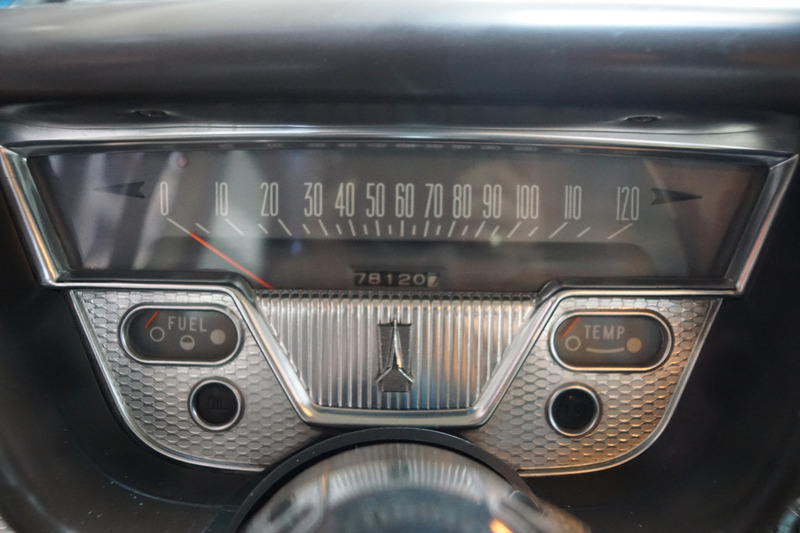 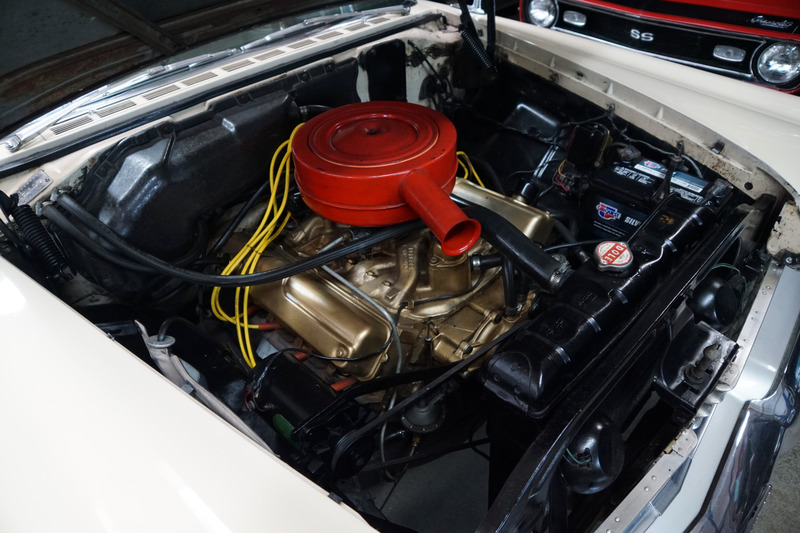 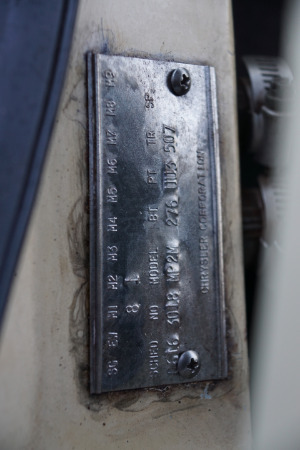 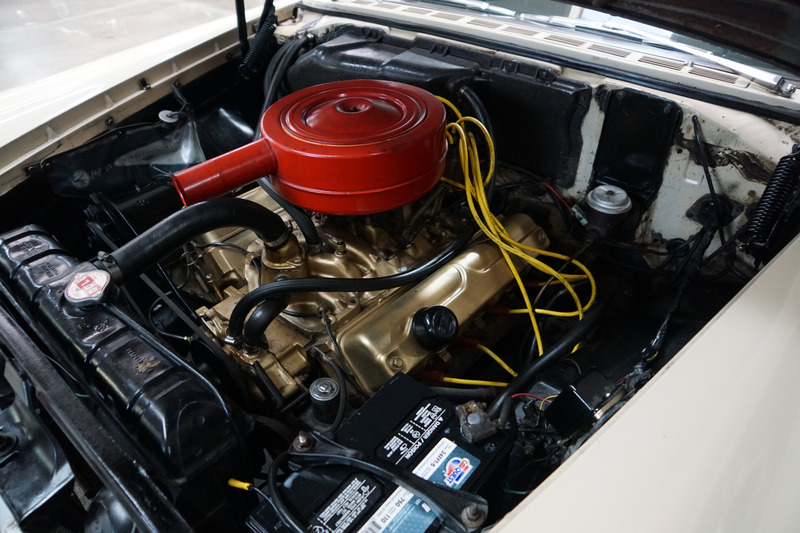 The original 318 cid V8 cylinder engine is extremely strong and powerful and this particular car drives very well - - drives straight as an arrow with no strange road wobbles, shakes or rattles - a truly remarkable daily driver that gives ample confidence in its believed to be original 78K miles! 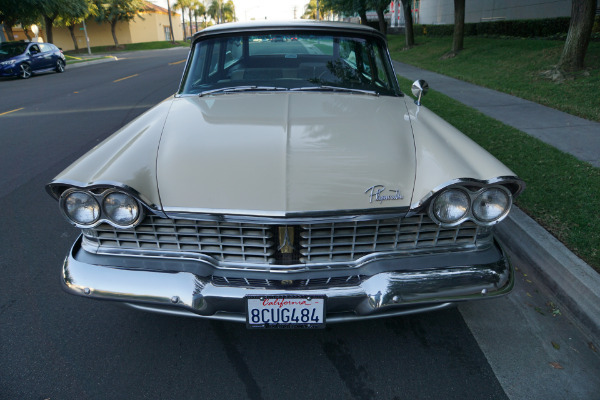 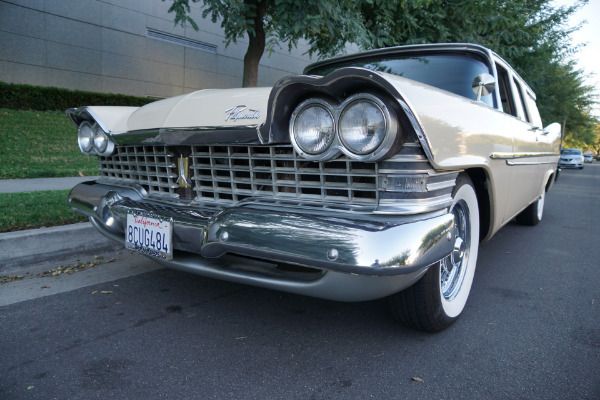 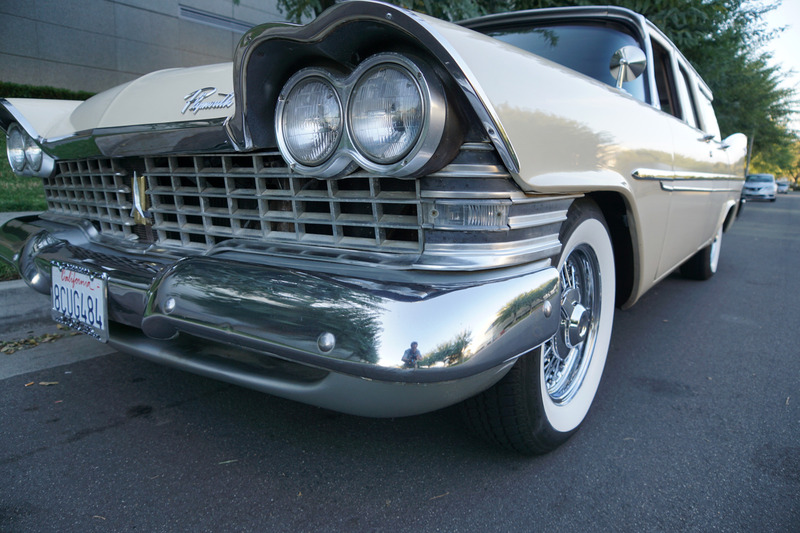 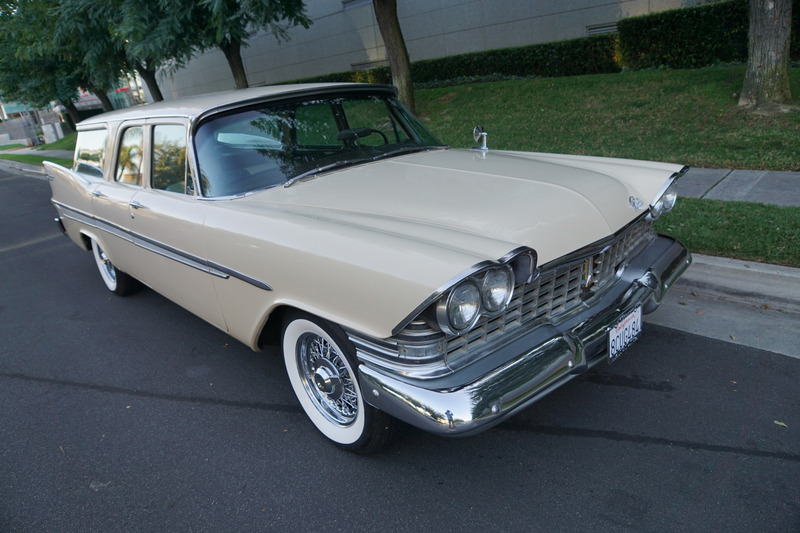 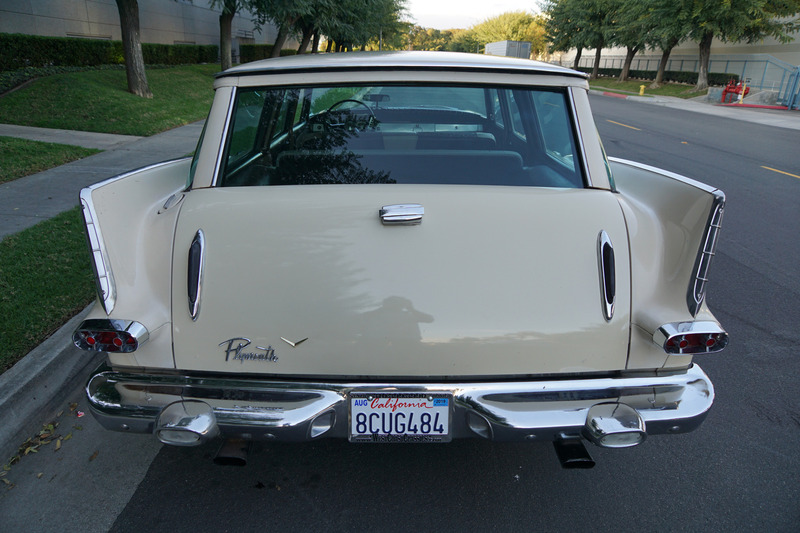 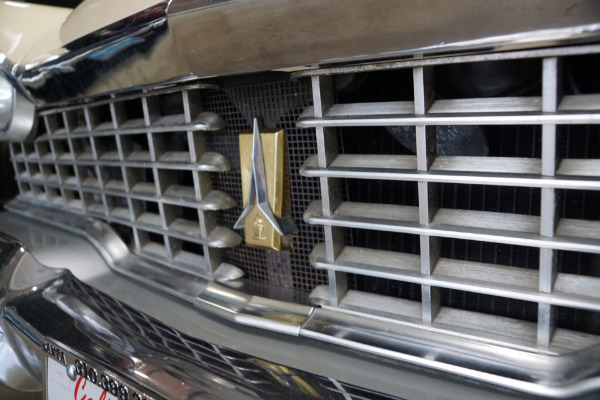 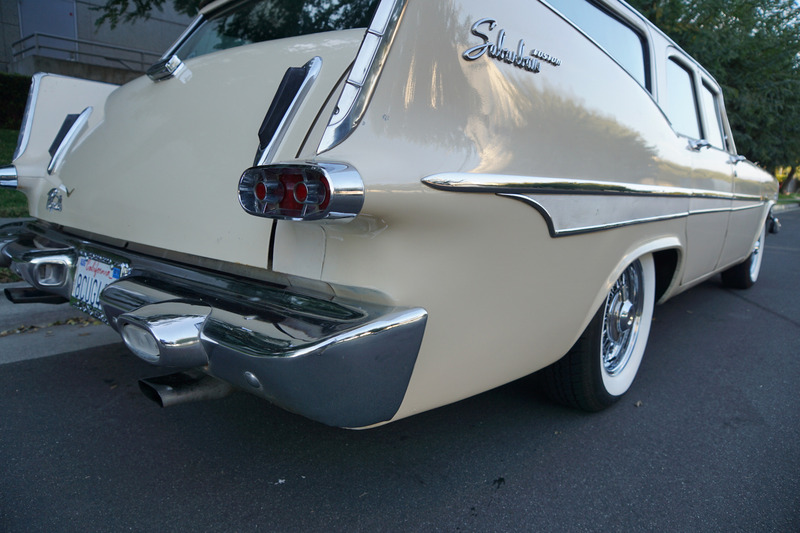 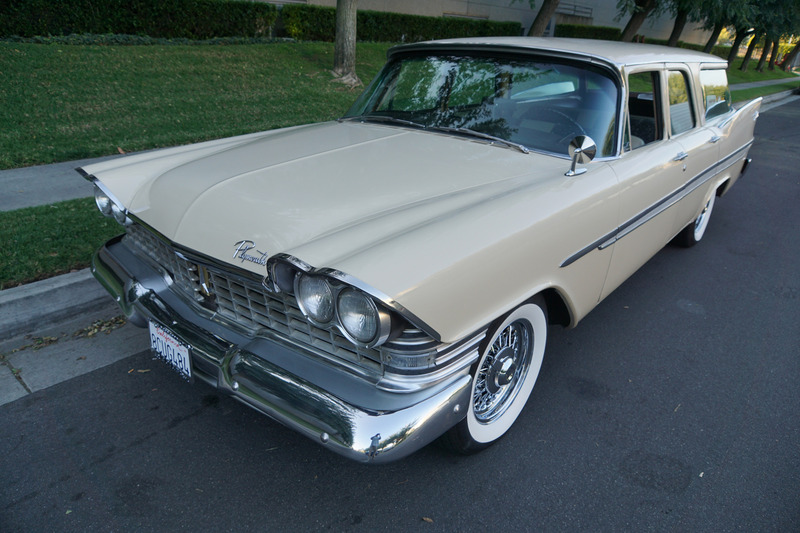 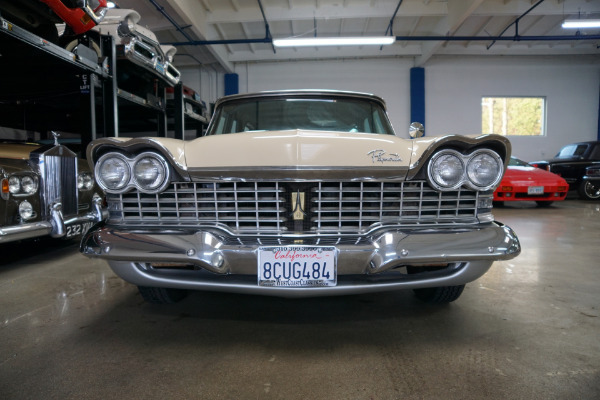 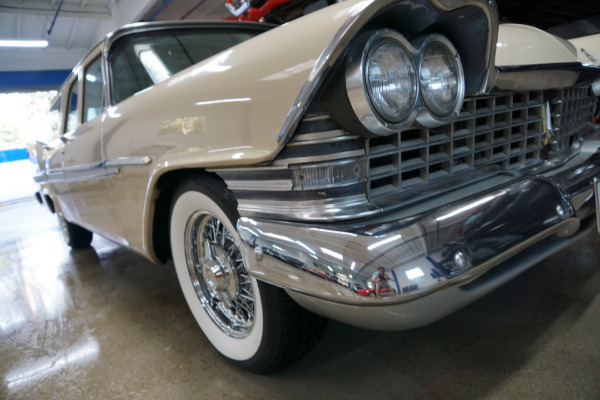 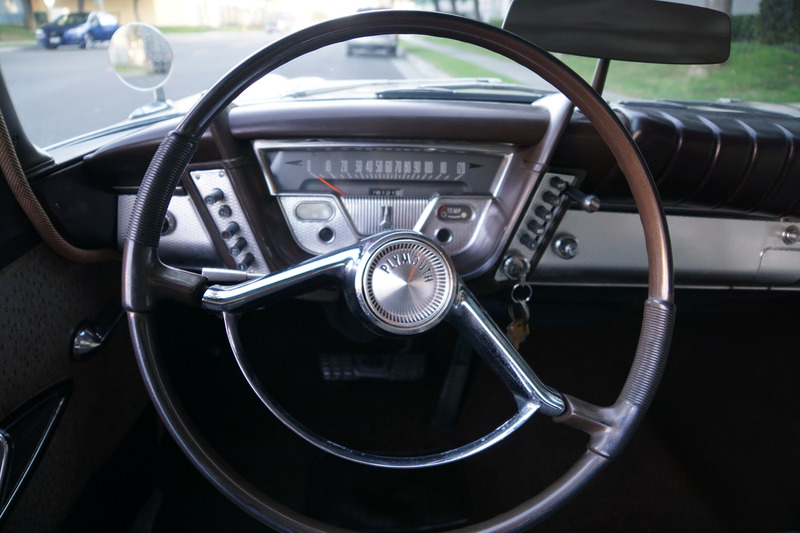 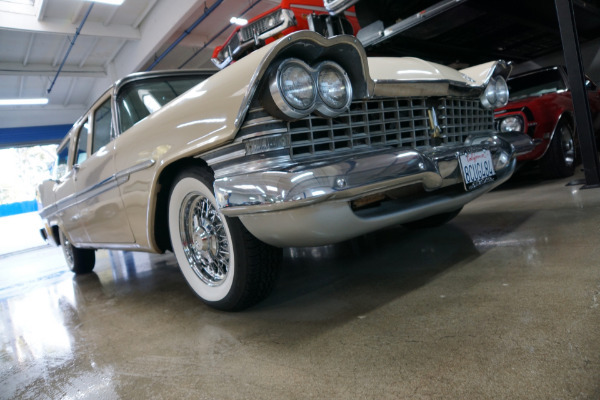 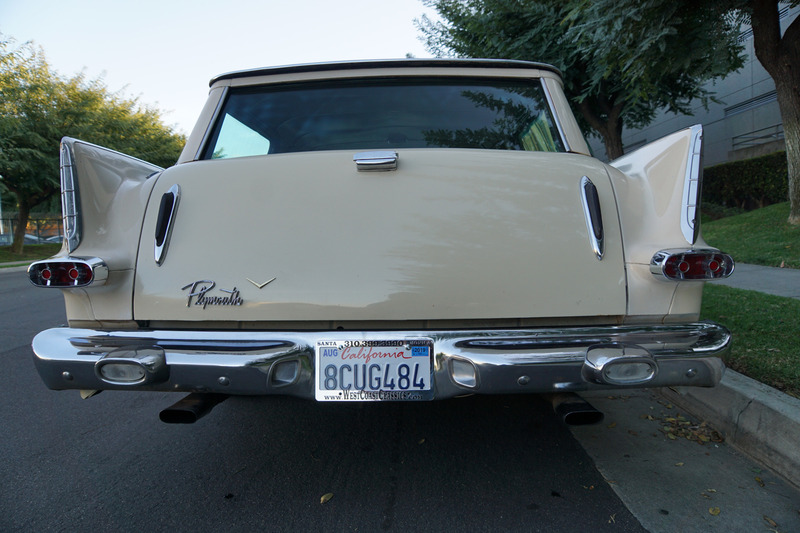 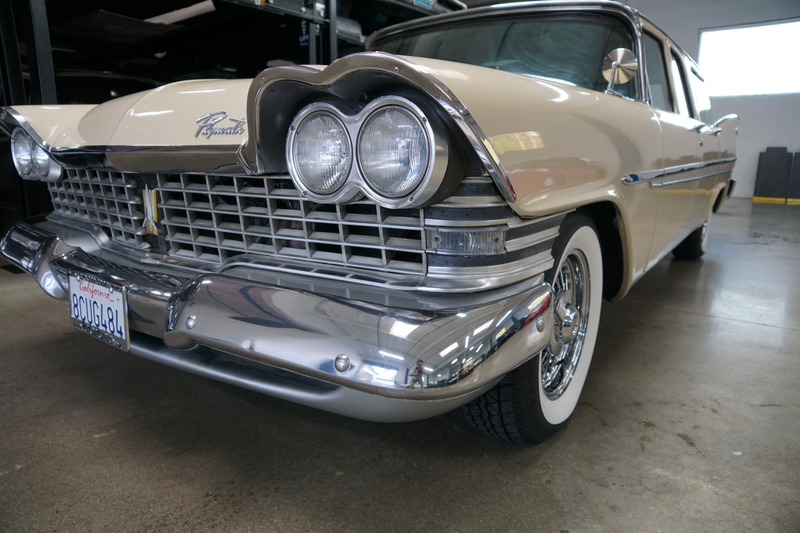 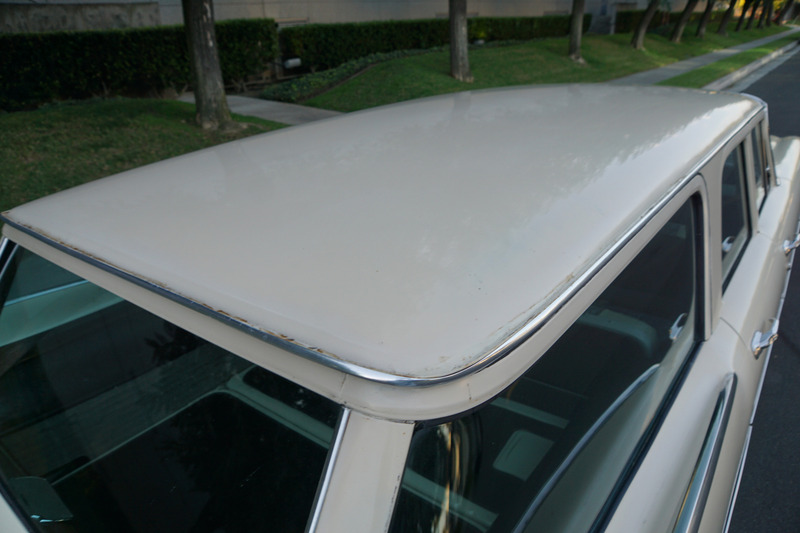 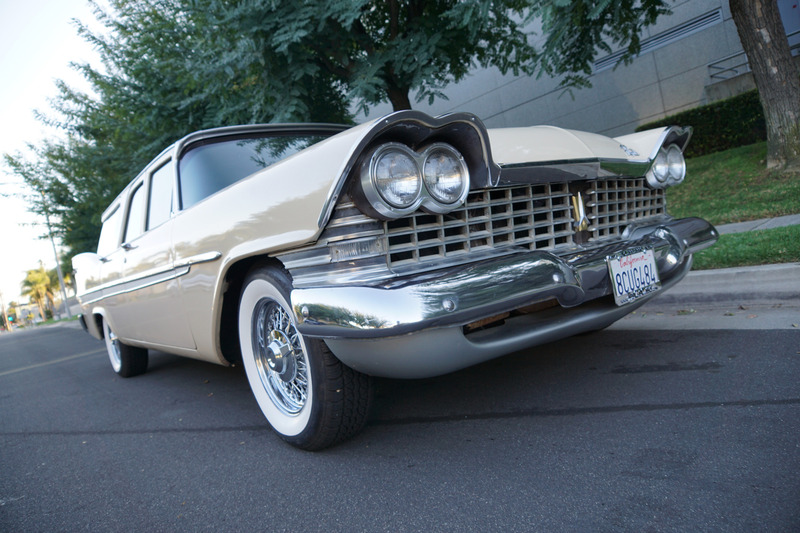 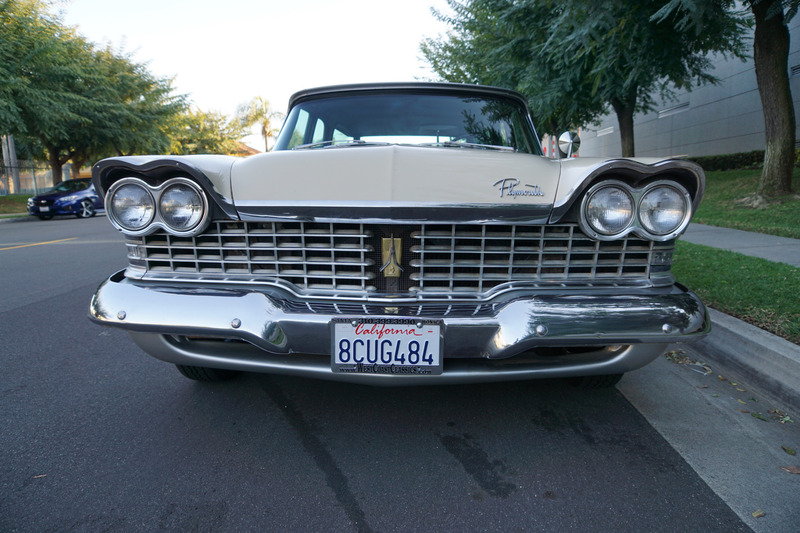 Designed by the legendary Virgil Exner in 1955, the 'Forward Look' design of the 1959 Chrysler line up with wrap around parking/turn signal lamps, a new grille, sculpted eyebrows, floating dual headlamps and horizontal tear-drop taillights were to make these some of the most distinctive looking American made wagons of all time. 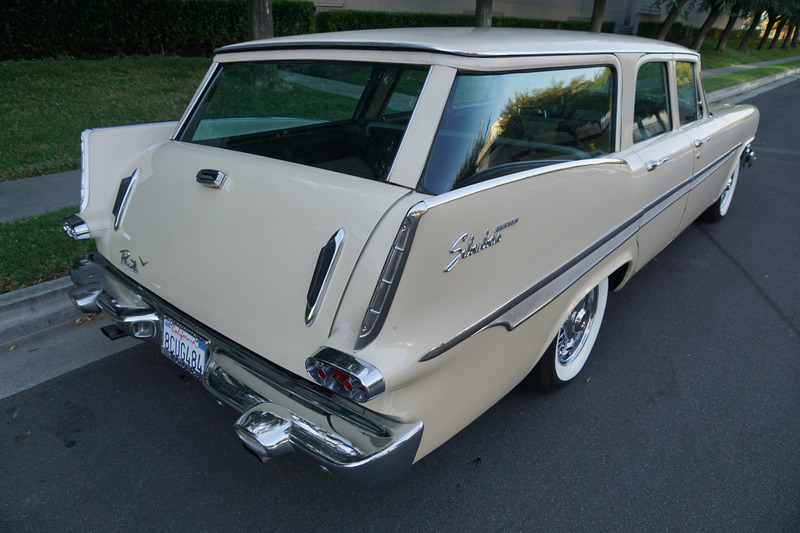 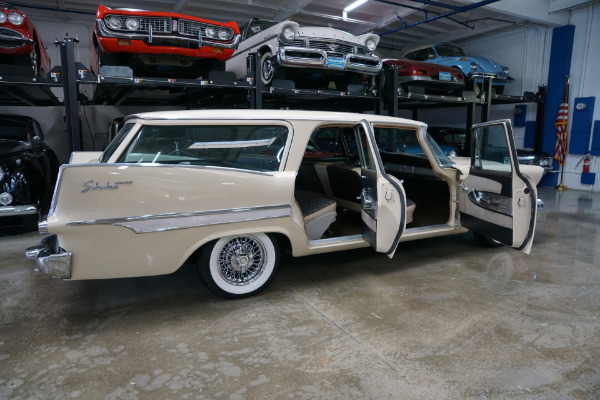 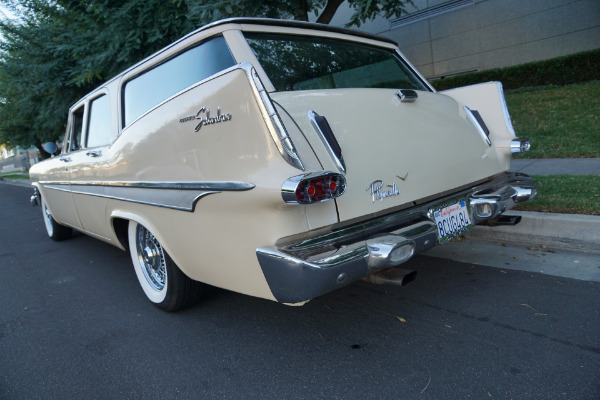 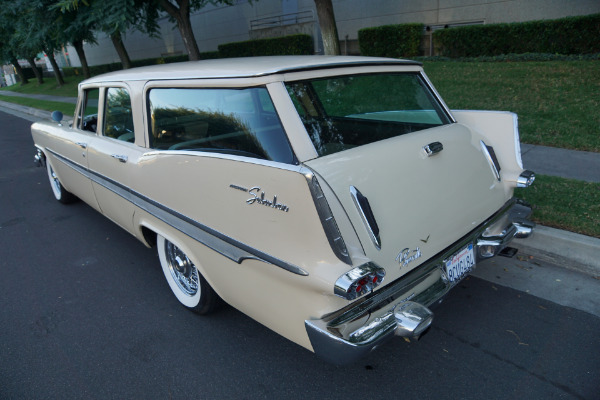 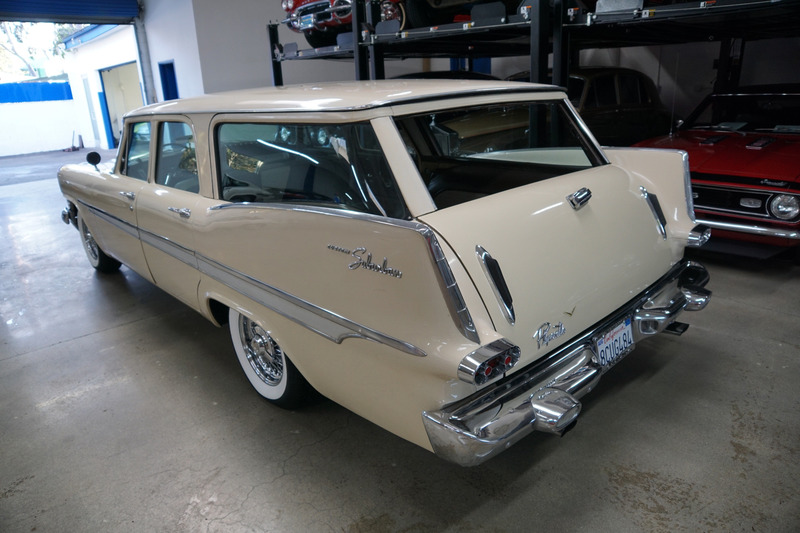 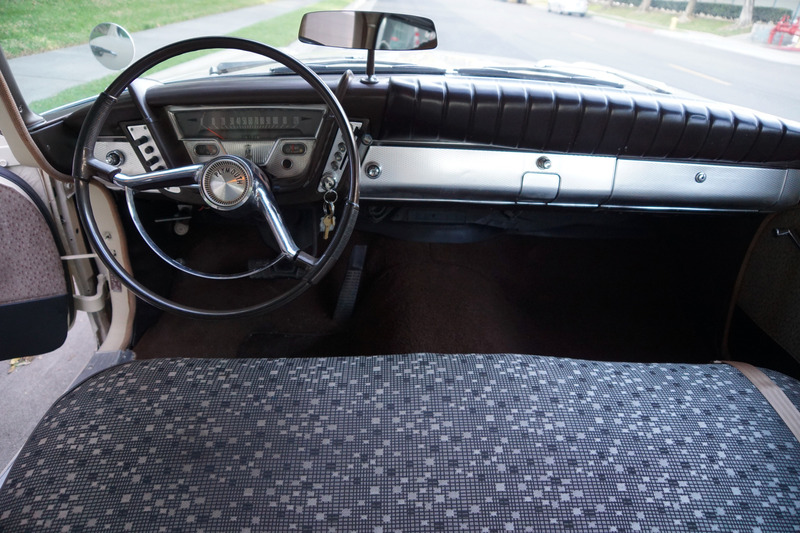 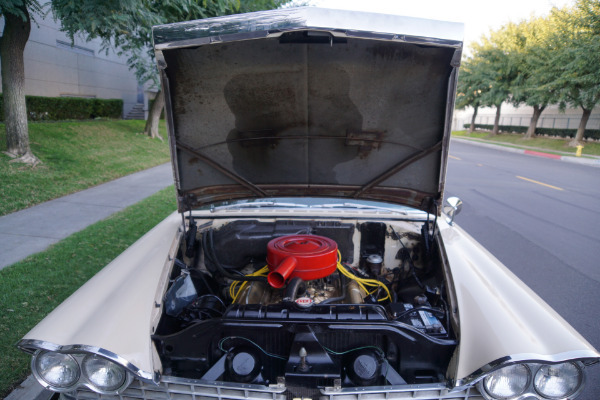 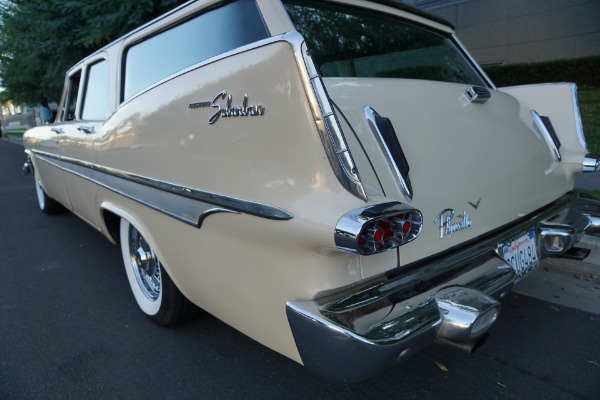 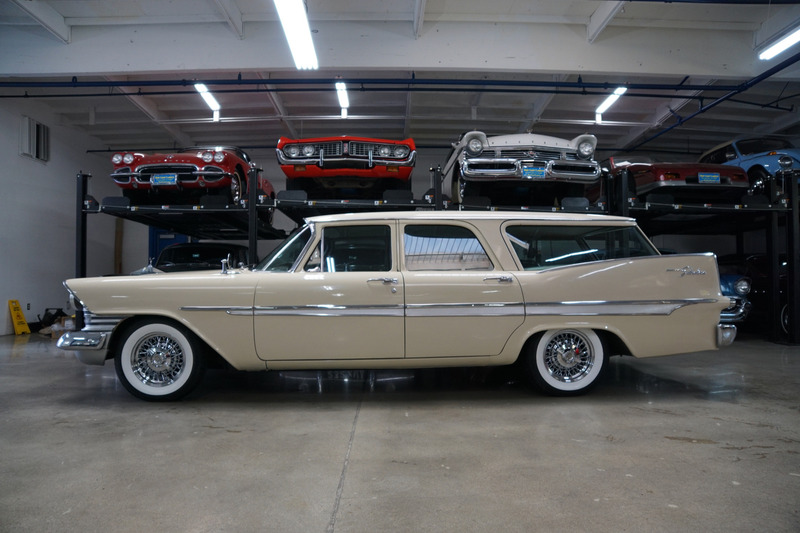 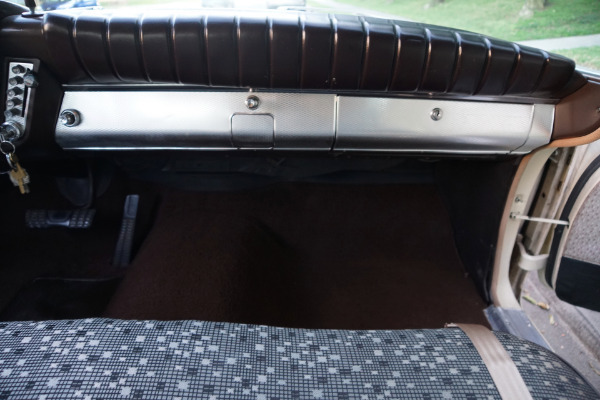 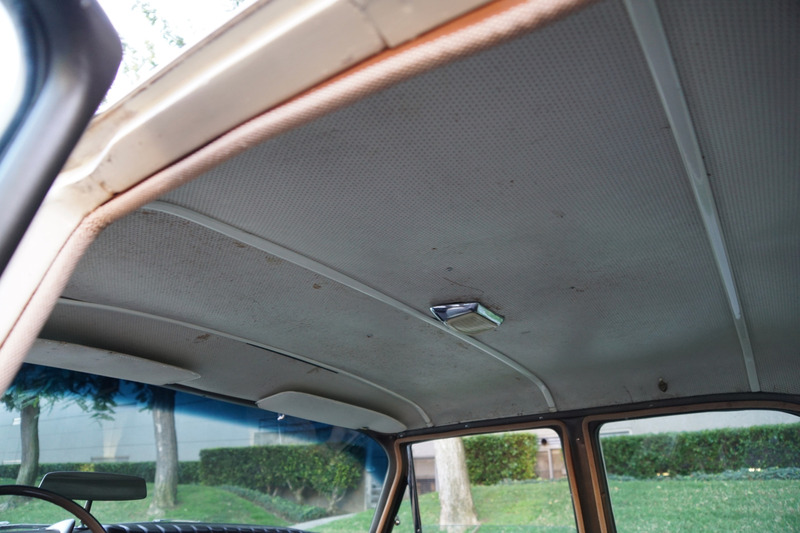 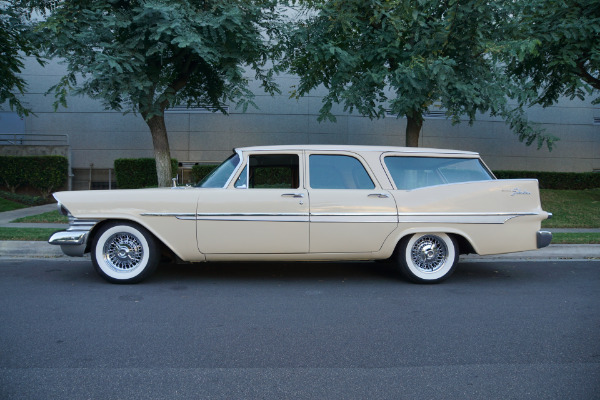 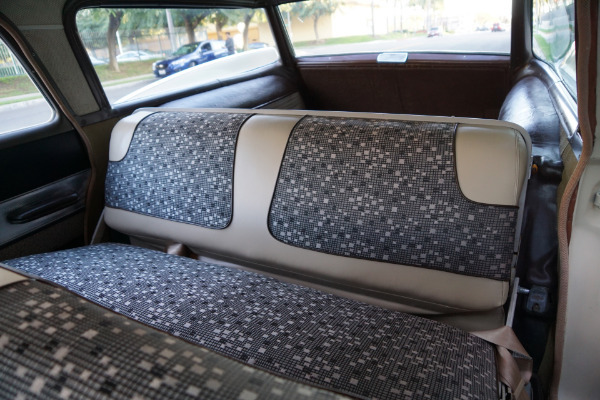 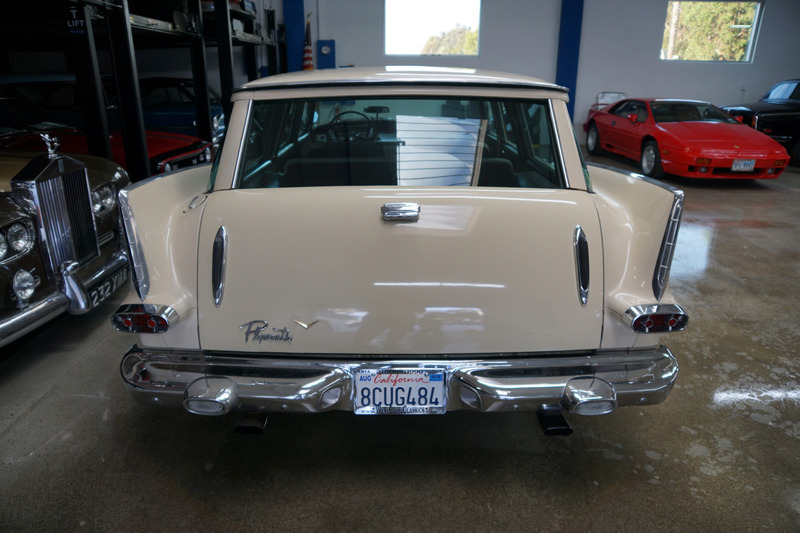 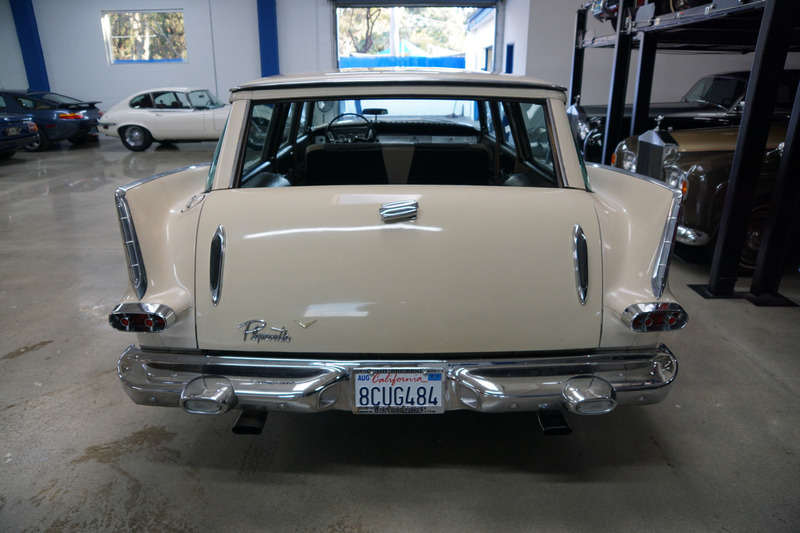 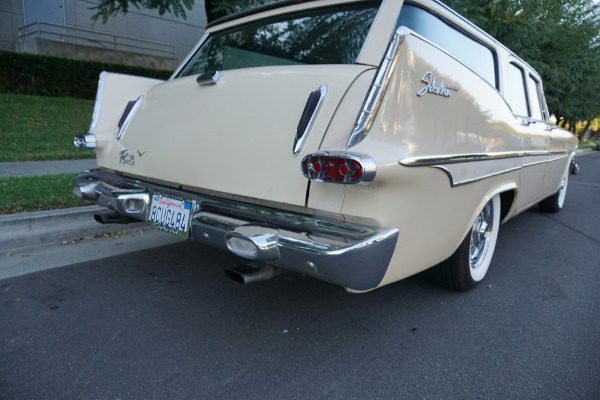 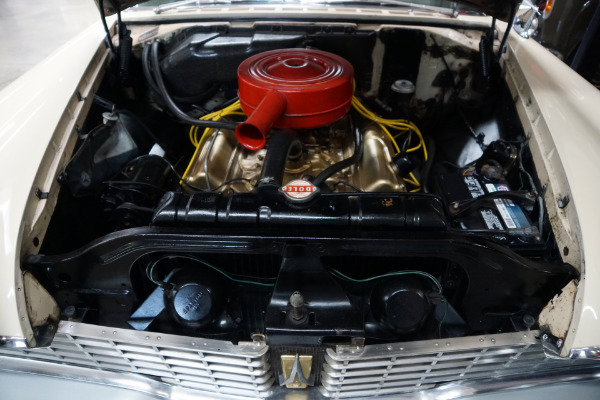 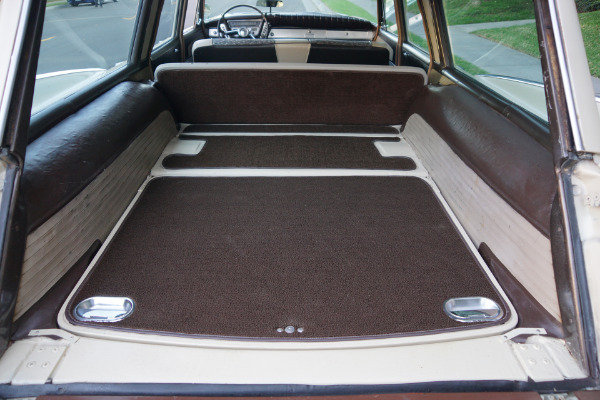 This is a rare opportunity to own a great daily driving and all original apart from some repaint on some parts of the car example of a never abused and oozing pride of ownership obviously always garaged and rust free 1959 Plymouth Custom Surburban station wagon in simply superb condition throughout! 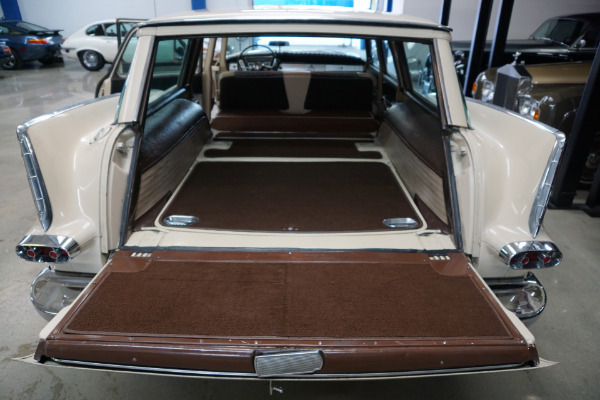 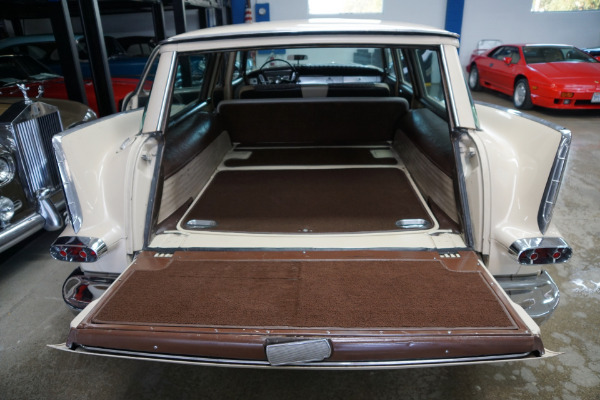 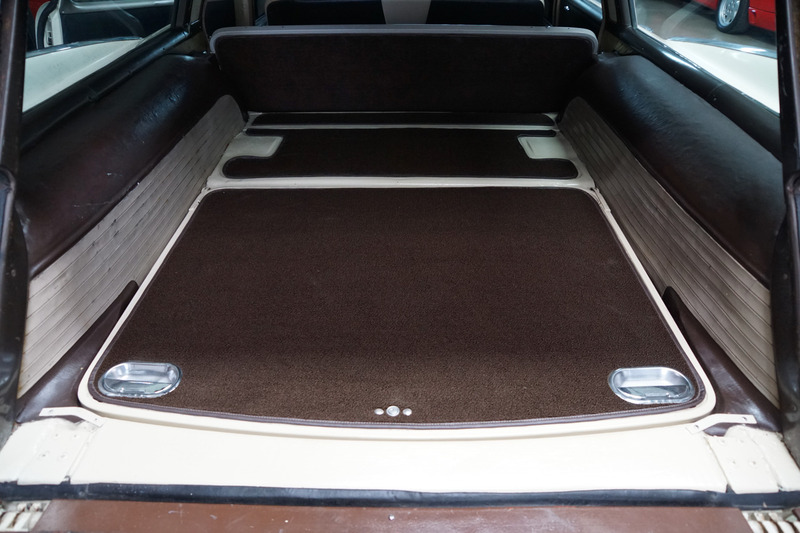 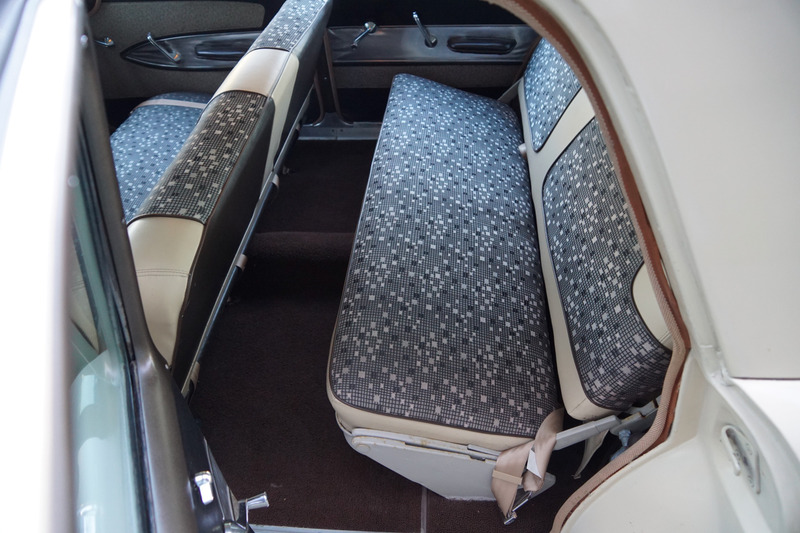 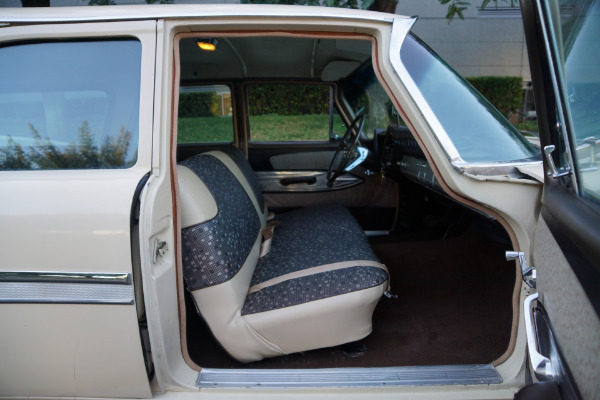 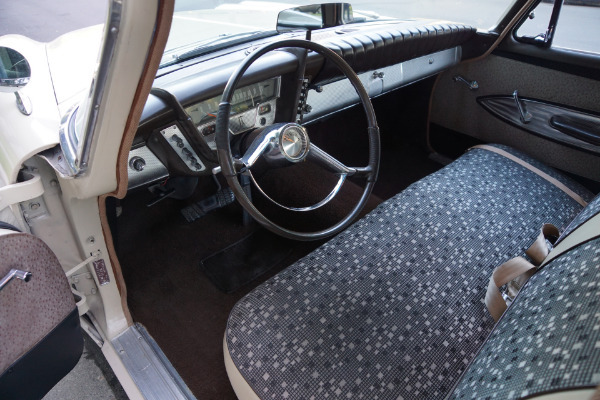 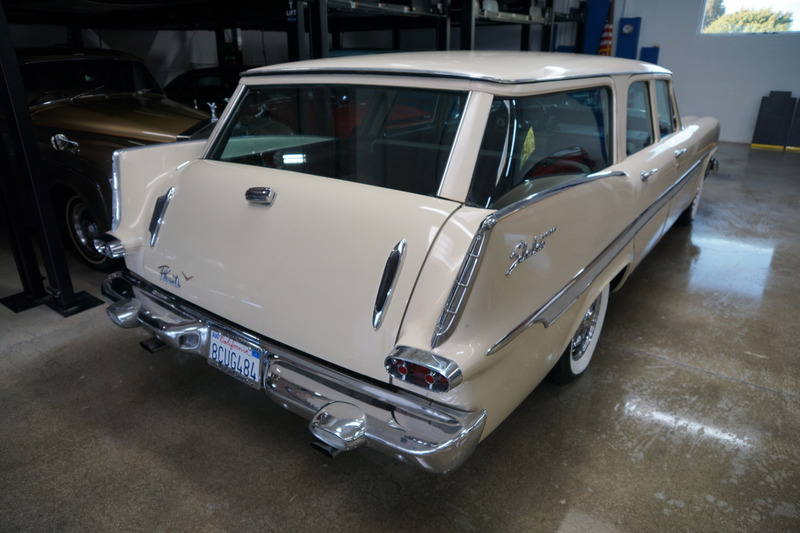 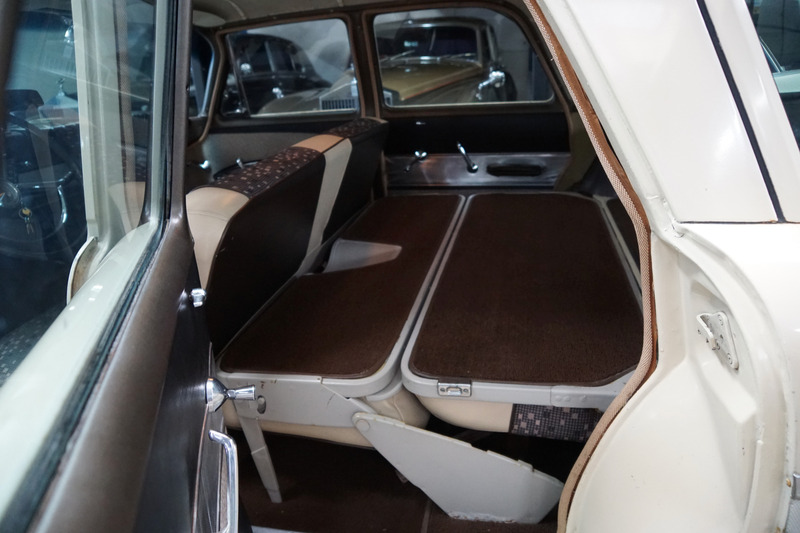 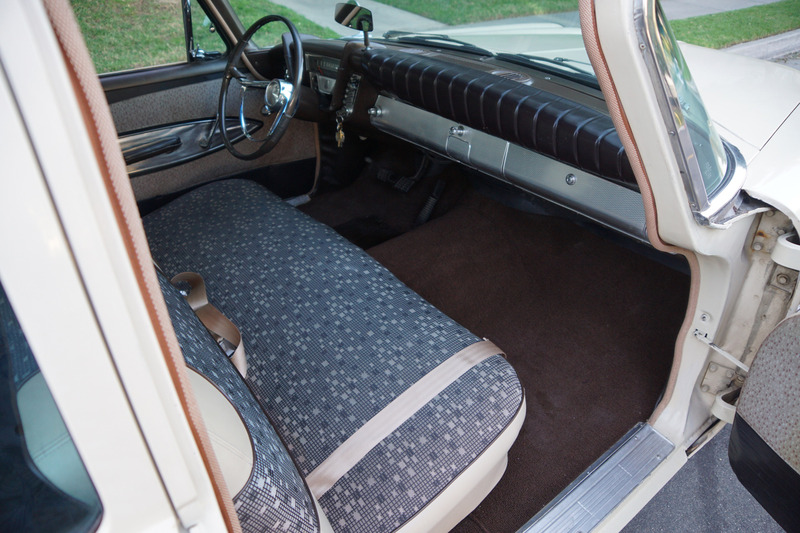 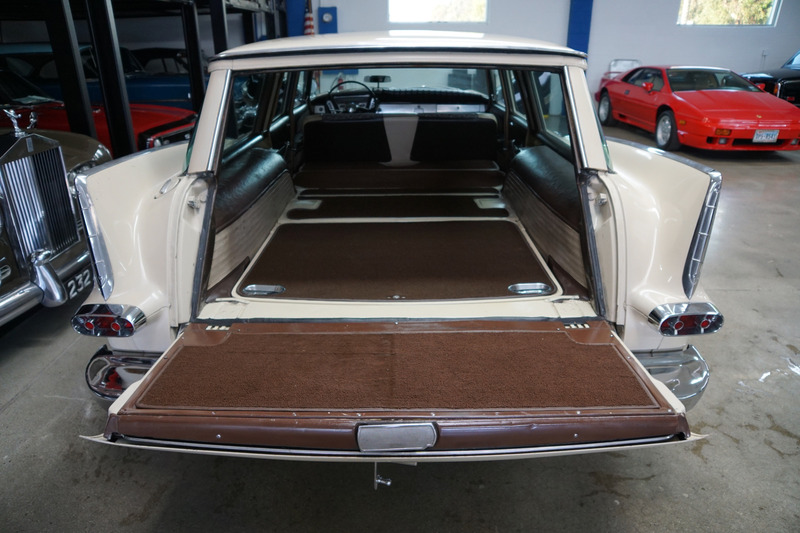 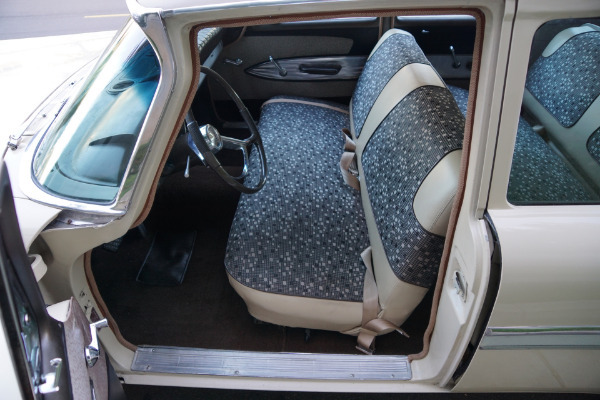 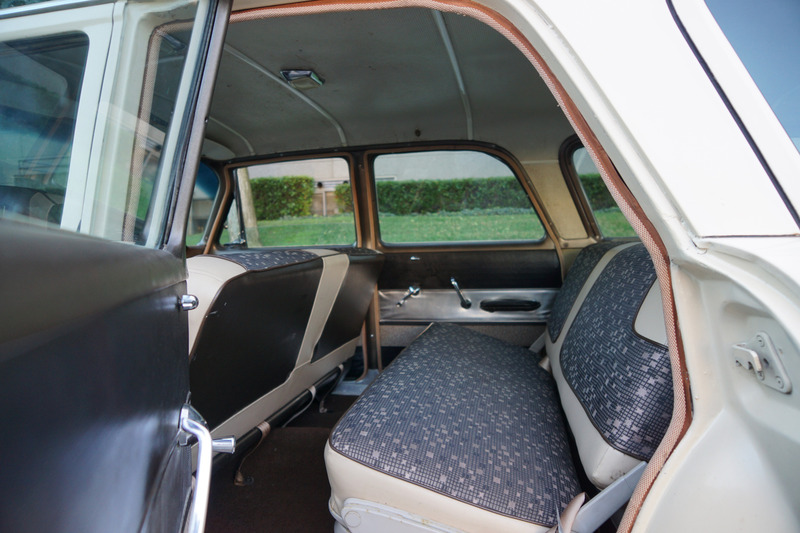 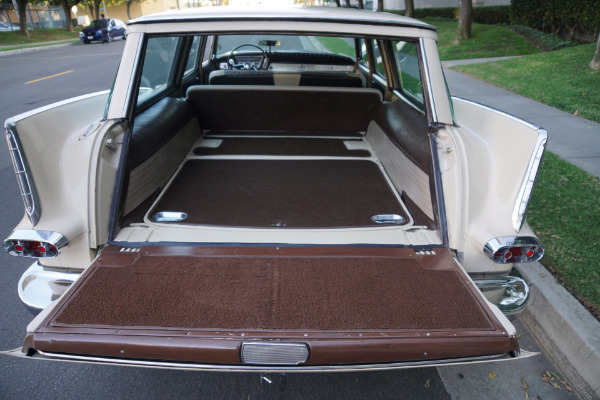 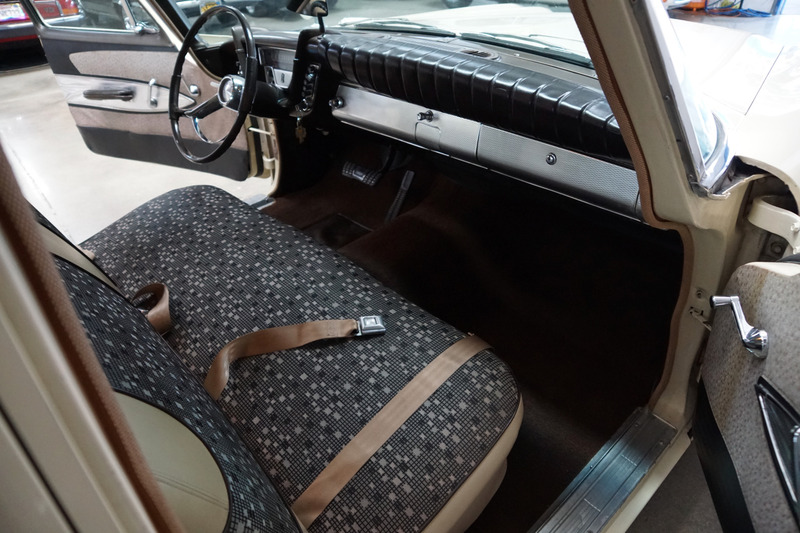 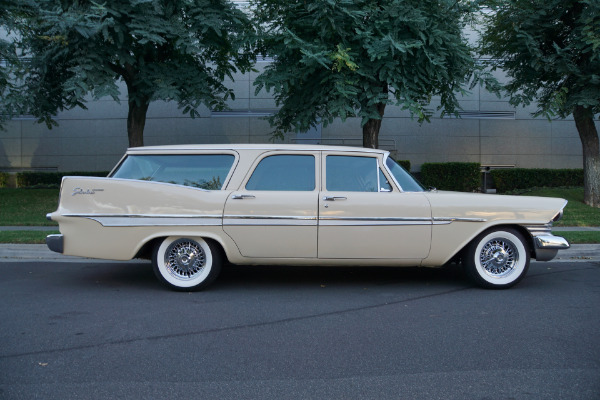 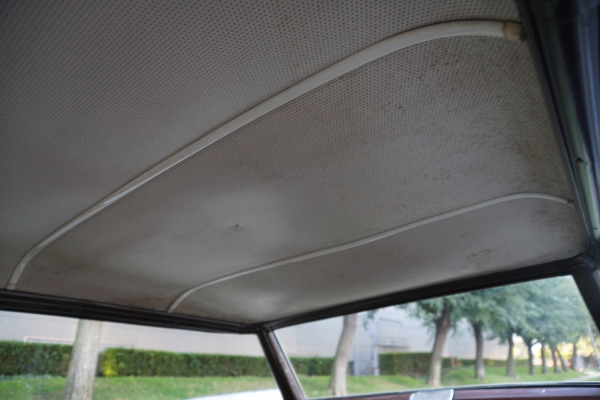 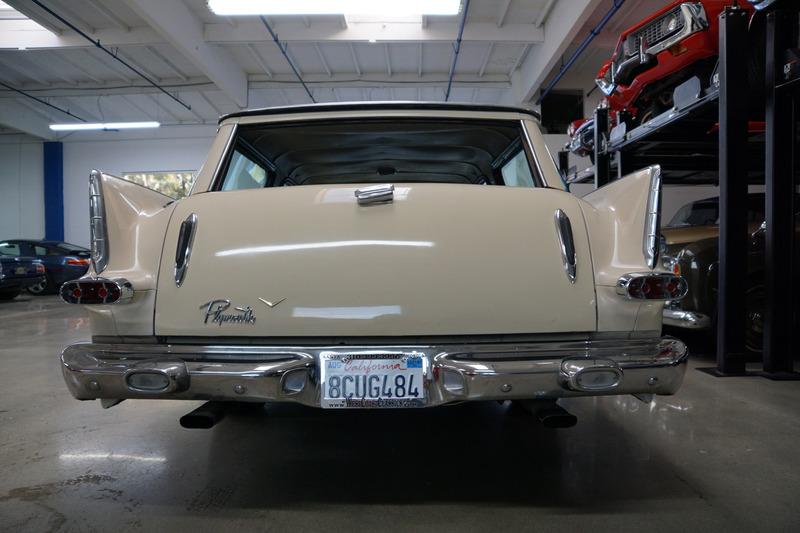 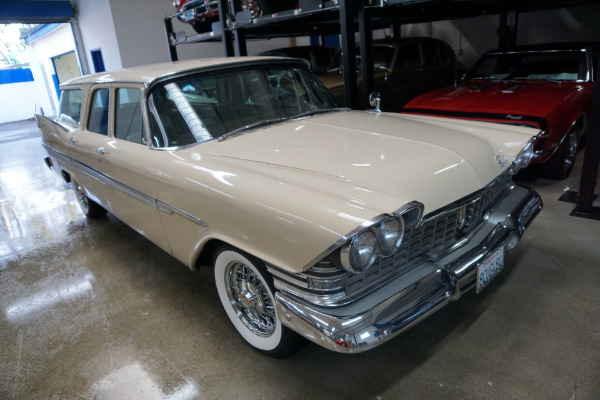 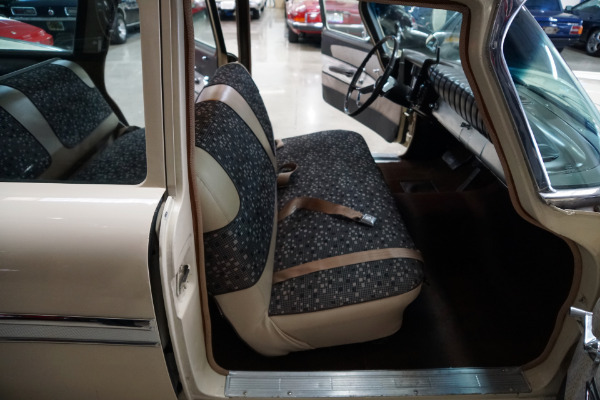 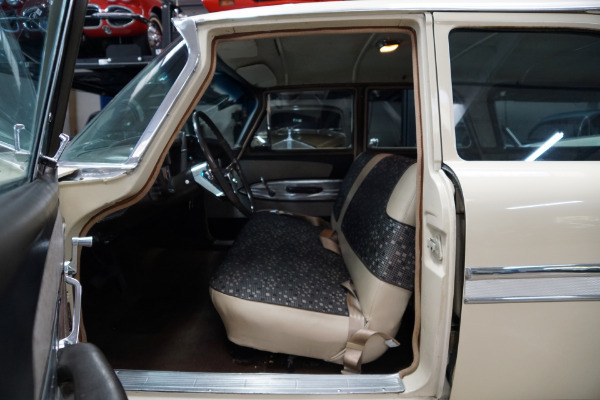 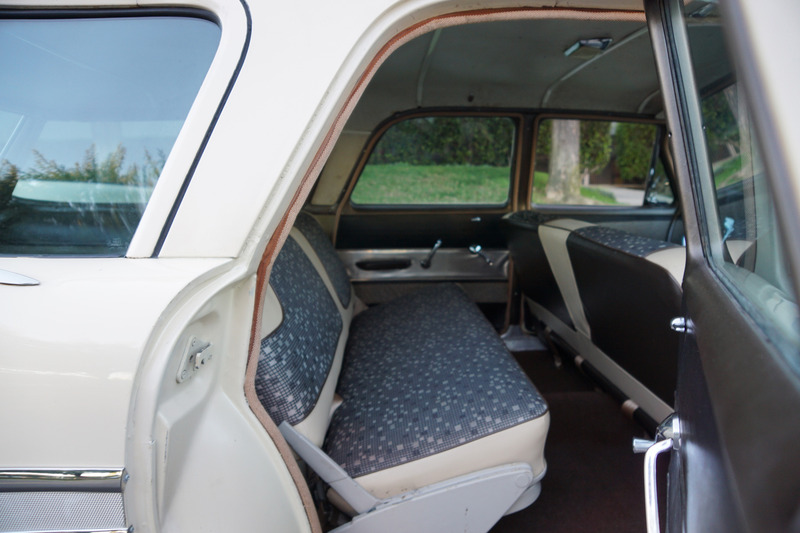 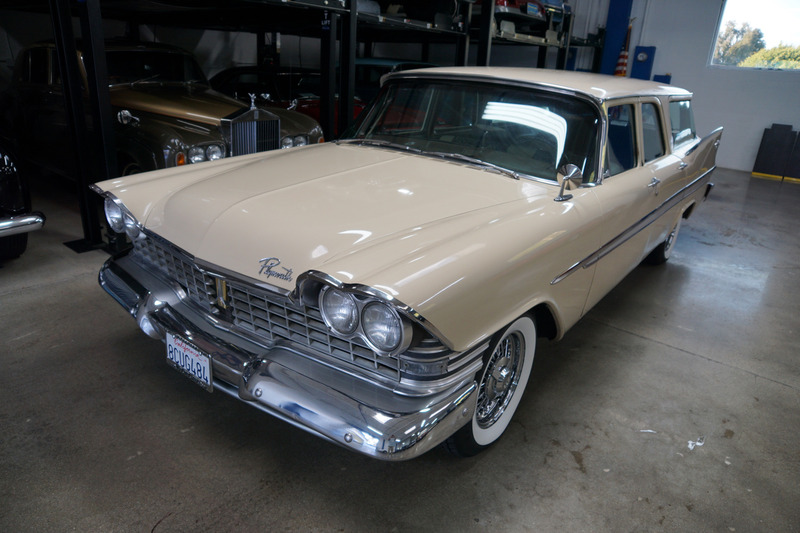 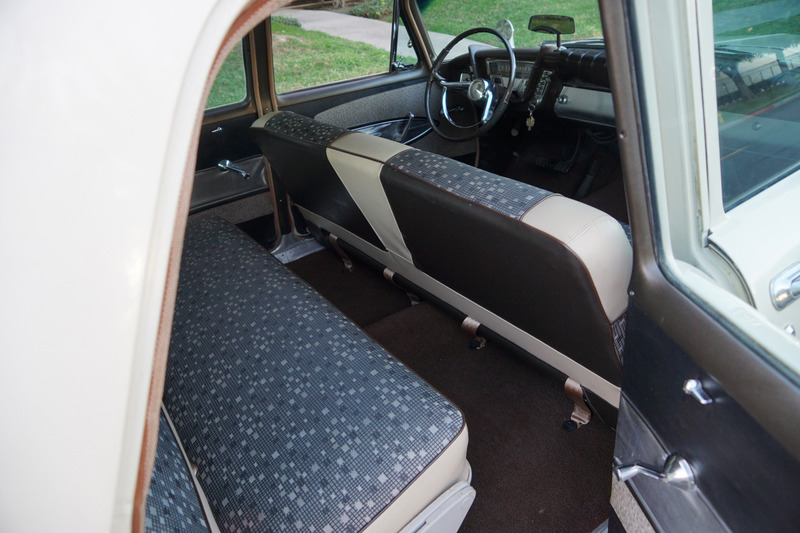 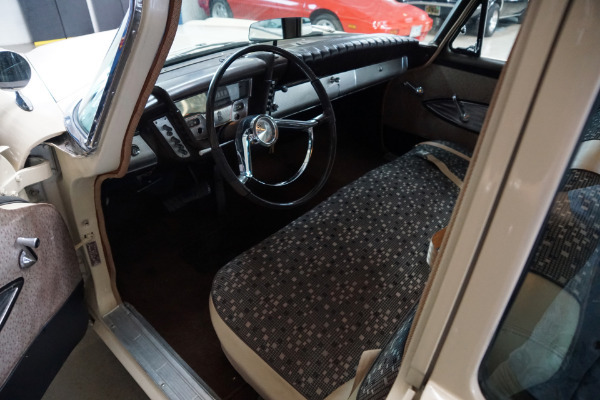 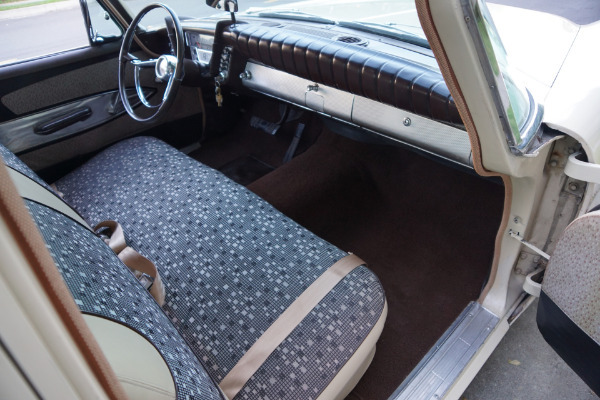 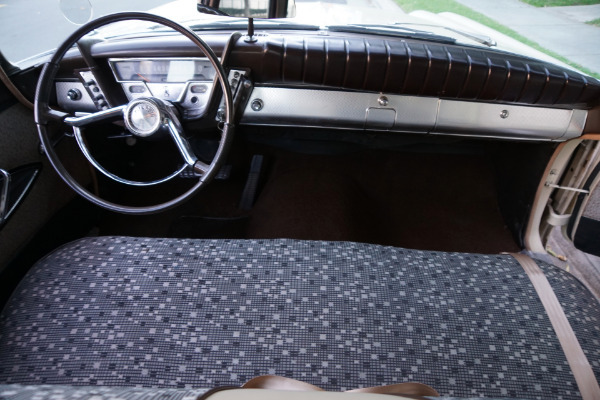 This is one very rare and highly desirable and collectible unabused example of an all American high quality and extraordinarily unique station wagon, cars which were built to be able to complete long distances with the uptmost of room and comfort.